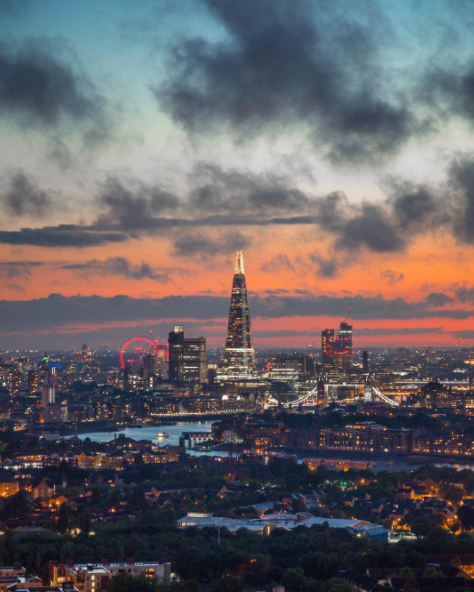 The well-known words of the English writer Samuel Johnson can easily give you a clear idea of London and its appeal both for Londoners and people from all over the world. Standing on the River Thames, London has been one of the major urban center in the world for centuries. Founded by Romans it is now a day one of the most visited metropolis and one of the leading tourist destinations in the whole World. Thanks to its history and the several attractions, travelling to London could seriously be one of the most fascinating and fulfilling travel experiences in life, even from a photographic point of view. The history it lived and the moments and personalities that characterized its past, made of London and its countryside an extremely interesting destination for a each kind of visitor, able to find there inspiration and much more. Sure enough, thanks to the lights, color and architectures, the city represent a real wonderland for any photo lover. Therefore, whether or not this is your first experience in London, it could seem a big idea for you to capture breathtaking pictures to show to friends and family, and to admire when rethinking about the great time spent in the British capital city. A lot of images during a trip can call your attention but probably it would be better for you to capture some moments able to better illustrate your unique travel experience, some perfectly realized pictures that you can consider yours. Indeed, each one has his own personal way to see and consider the world; and our master photographer can help you construct the picture you imagine depending on your perspective and perception, personalizing your experience. Join us in these photo tours, stroll through the city with our professional photographers to discover hidden corners worth of attention, and learn new techniques, tips and tricks from a professional, improving your abilities and getting to the heart of the pictures.